Wythenshawe Town Centre sits at the heart of the Garden City of Wythenshawe. 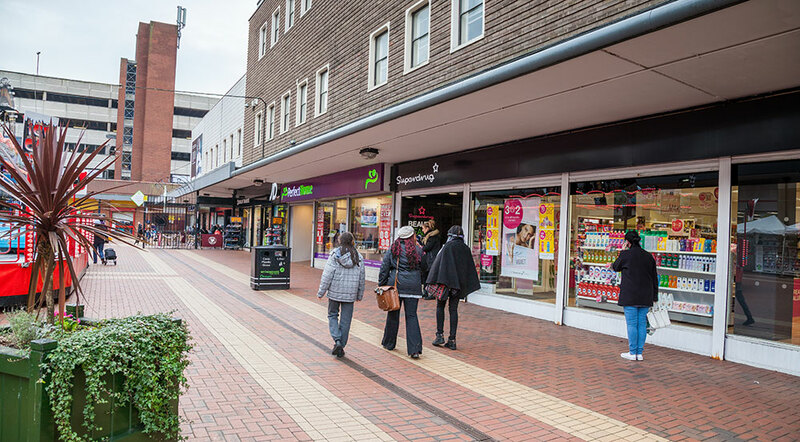 With over 78 retail stores and 40 office space units, the centre is a thriving destination home to major names such as Asda, Costa, Wilko, Argos, JD Sports, Boots, Iceland, Select, Subway, Superdrug, Holland & Barratt and Vodafone. Wythenshawe Market has a permanent, newly-refurbished indoor facility and a diverse range of outdoor stalls. The Forum Centre is located adjacent to the town centre. A bright & modern hub of integrated services used by community and business. Leisure activities include a large gym, swimming pool and fitness classes and the library has books, music & films to loan as well as access a range of supported computer provision. The employment and skills hub is a partnership between Job Centre Plus and Manchester Adult Education, to offer an improved education and employment service for residents and employers. Co-operative Childcare manages the centre's nursery. There is also a cafe, newsagent, health centre, pharmacy, travel agent and community radio station on site. 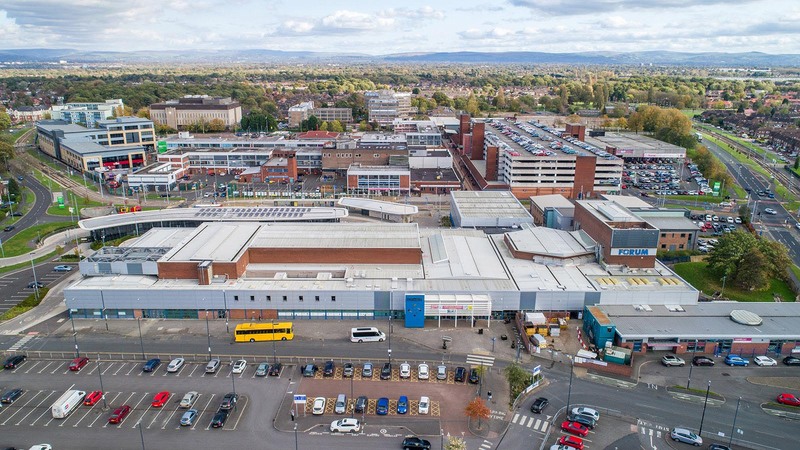 Brookway Retail Park, located in Baguley, is home to household name superstores – Matalan, Wickes, Pets at Home, and Aldi – attracting customers from the local area and further afield. Directly opposite the retail park is a Tesco Extra store with onsite filling station and Ericstan Park, home to Wythenshawe Town Football Club. Adjacent to the retail park is a modern complex housing Brooklands Library, Manchester Health Academy and its community sport complex. Airport Citywill be built for business and designed for life, with a broad mix of leisure and retail facilities. Its hub will be arranged around pedestrian-friendly green spaces, to encourage walking and cycling – and to boost health and productivity. The public spaces will be accessible 7 days a week. This blend of great amenities with creatively designed outdoor spaces will ensure Airport City offers businesses and their staff a balance of work and opportunities to socialise and enjoy leisure time. The planning area of Airport City Manchester comprises approximately 5 million sq ft, with a total development value of £1billion. The site encompasses offices, advanced manufacturing and logistic facilities, along with hotels and retail. Adjacent to Manchester Airport, it is perfectly connected to do business with the UK, Europe and the world, and enables businesses to create a bespoke building in a high-specification, highly serviced environment. The transport interchange opened in 2015, and comprises bus and Metrolink stations, and a TfGM Travelshop, is situated between the Forum and the town centre. Other features include cycle parking facilities, enhanced CCTV and passenger information systems.